Featuring special performances by the Reflex – the Ultimate 80s Tribute Band and School of Rock, along with a Health & Wellness Expo and guest speakers! 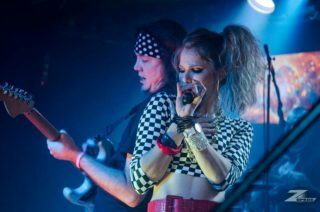 Grab your chairs, blankets, and dust off your parachute pants, Jordache jeans, and Rubik’s Cubes and prepare yourself for the sounds of The Reflex – The Ultimate 80’s Tribute Band & School of Rock because this is one Lyme awareness event you won’t want to miss! You’re also more than welcome to bring a cooler with anything EXCEPT for alcoholic beverages. Can’t make the date? Your contribution is still welcome and your tax deductible donation can be made here.